Learn the art of creating elegant accessories from genuine leather with this inspiring guide. 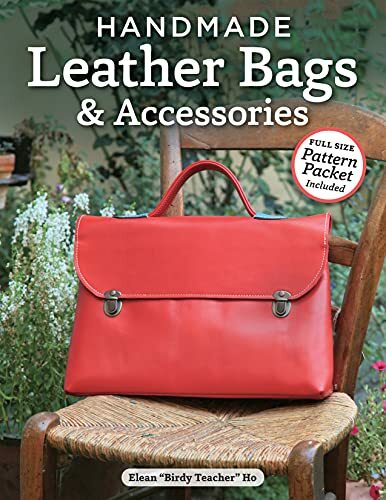 Handmade Leather Bags and Accessories shows how to make classic handbags and accessories with a decidedly modern flair. Gifted fashion designer Ke Yi Lun shares 28 simple strategies for enhancing any wardrobe with high-end luxuries without the high-end price tag. Even novice leatherworkers will be surprised at how much fun it is to make durable and sophisticated bags using these basic techniques. Gorgeous photographs, step-by-step diagrams, and easy-to-follow instructions make it easy.